During difficult family times everyone has a responsibility to protect children from future harm. You can find further information on our Staffordshire Safeguarding Children Board website. If you think someone is being abused or you think their safety is at risk, then it is important to report your concerns. You must never assume that somebody else will recognise and report what you have seen or heard. If you think someone with care and support needs is being abused or neglected, it's important to report it to us. Remember, suspicion is enough. To find out how to report concerns about an adult go to the Staffordshire and Stoke on Trent Partnership Adult Safeguarding Board website. Childline provides information, support and advice on a range of issues, incuding, bullying, sexting, abuse, safety and the law. New Era is the new holistic Domestic Abuse (DA) service operating across Staffordshire and Stoke on Trent from 1 October 2018. 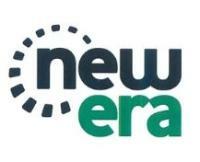 Offering help to all those affected by domestic abuse in Staffordshire or Stoke-on-Trent, New Era provides free and confidential support for victims, perpetrators and their families. NSPCC provides information on safeguarding children and child protection. Safer Places Scheme - Stoke on Trent and North Staffordshire - This scheme is open to people with a disability or vulnerable condition aged 14 or over. ATL's Safer Schools network brings together the expertise of leading organisations, practitioners and academics to signpost education professionals, young people and parents to resources, debate and support.